Leftover roast parsnips can be tricky to use up, I think, because the texture can be off-putting. I know I hate leftover roast potatoes and have to really disguise the flavour. Roast parsnips are similar, because they are high in starch. This genius idea was inspired by the amazing Jack Monroe. Her latest book (well, not including the almost-published tin-can lovely) provided the inspo for this recipe. 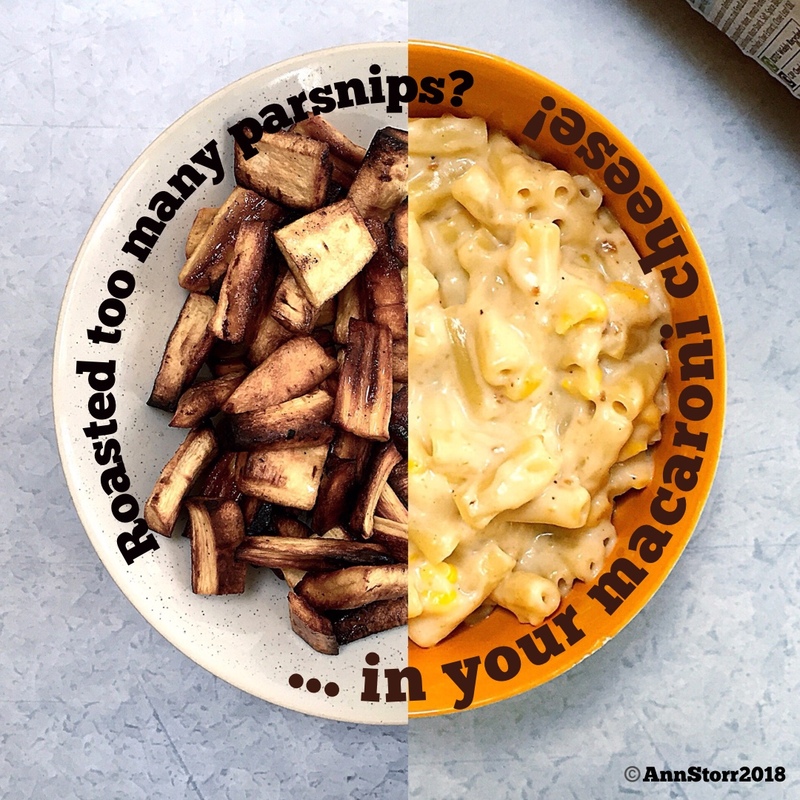 Mashing up your leftover roast parsnips well … it uses them. You can’t really taste them. And sometimes, especially if you feed picky eater (young AND old), this is A Good Thing. If you have a lot of people to feed on a budget, then this is a cracker of a recipe. It freezes well, too – so if you’ve got parsnips to use up, but no time to eat them, this dish is for you. Not got cheddar? Just use 100 grams of whatever you’ve got and you like. Emmental and stilton? Cheddar and Lancashire? Talleggio and Pecorino? Use around 100g and enjoy. Making a white sauce is too much for some people, so use a ready made one; if you can be arsed to try to learn then all power to you. You’ll save money, so much money. Just don’t walk away from the pan half way through cooking. Ahem. Burnt on white-sauce is the devil’s own job to clean off. That is when you need a wallpaper scraper and wire wool. I once got huge kudos/horror from a writer for walking away from a bubbling white sauce; he was right. Adding sweetcorn or peas is totally optional but I like the bite and texture against the creamy sauce and soft pasta. And use any pasta, esp if you have 4 bags of a few random shapes. Random pasta, random veg and random cheese: this is thrifty, leftover busting cooking at its finest.